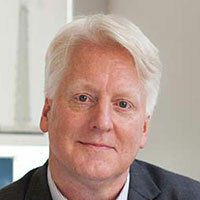 David Malott, CTBUH Chairman / Founder, CEO, AI. Video of presentation will be posted here after the Awards event. 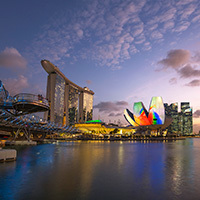 Dr. Cheong Koon Hean is an architect and urban planner who has been credited with shaping much of Singapore’s urban landscape. 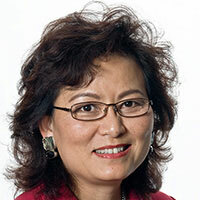 Throughout her career, she has led the long-term strategic planning of Singapore and played a key role in the development of major growth areas. 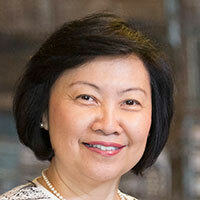 As a strong advocate of quality urban design and architecture, she has facilitated the development of several quality landmark development projects in Singapore. Dr. Cheong has also dedicated herself to spreading awareness of Singapore’s planning experience to the benefit of cities around the globe. 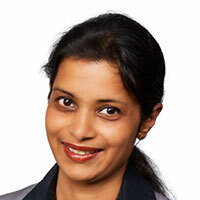 Her willingness to share her knowledge, in coordination with her proven successes, speaks volumes to her role as a global leader in urban planning. 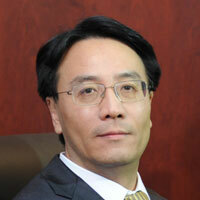 Dr. Cheong will discuss her experiences in shaping one of the world’s leading urban habitats. Structural integrity, inventive design, and a nod to heritage converge to form the underpinnings of Torre Reforma’s unequivocal appearance. 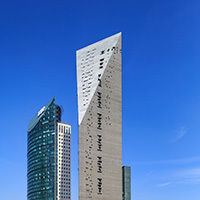 The tower’s composition rejects traditional notions of the glossy and glassy skyscraper to create a building that is not just structurally expressive but visually distinctive in an original way, placing concrete and steel in harmonic opposition. Its emphasis on solidity and idiosyncratic design represent a growing trend within Mexico’s skyscraper design ethos. 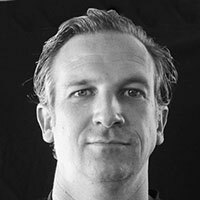 Benjamin Romano, Founding Principal, LBR&A Architectos, will discuss the tower’s unique design as well as its importance within Mexico City’s local context. 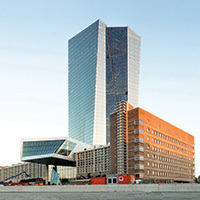 The European Central Bank headquarters masterfully assembles a split high-rise atop a horizontally oriented low-rise heritage structure. The combination of atria created by the placement of the two glass high-rise volumes and the expansive interiors of the heritage addition facilitate a commendable variety of communal activities found within the structure. The resulting “city-within-a-city” outcome greatly increases the building’s overall functionality while providing for the needs of its occupants in a manner that is easily accessible and inviting. 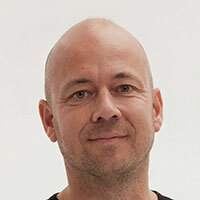 Wolf D. Prix, Design Principal & CEO, Coop Himmelb(l)au, will present on the architectural inspiration behind this structure and discuss the building’s implementation from design to completion. 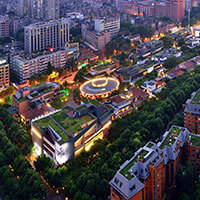 The Wuhan Tiandi Site A master plan is none other than a social triumph, an unprecedented exercise in transforming a core area of one of China’s largest interior cities. The plan wisely incorporates a variety of elements at all heights, from the supertall to the pedestrian scale, to provide a thoughtful milieu of eclectic structures and experiences. The development combines the intimacy a traditional low-rise commercial area with a handful of contemporary high-rises to generate a critical mass of meaningful public activity. Ellen Lou, Director of Urban Design and Planning, Skidmore, Owings & Merril, will describe the design process for such a meaningful development, delving into the deliberate planning that accommodated such a successful urban habitat. 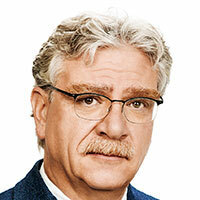 As Chairman and CEO of Magnusson Klemencic Associates, Ron Klemencic has played an active role in shaping the direction of the structural engineering community. 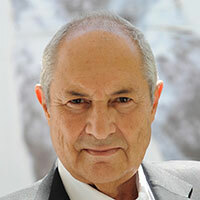 His pioneering work in the field of Performance-Based Seismic Design for tall buildings has proven greatly influential, and he continues to play a leading role in advancing the methodology. 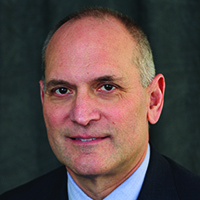 Along with a dedication to improving structural integrity, efficiency, and sustainability, Klemencic maintains his commitment to increasing ties between the structural engineering community and the greater tall building construction industry. 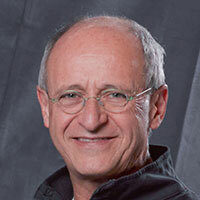 He will take the stage to share some of his experiences as a leader in the field of structural engineering. 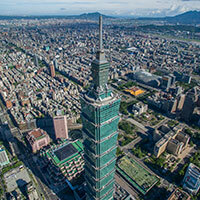 Perhaps what is most notable about the TAIPEI 101 performance upgrade is not its complexity, but rather that the tower was already relatively efficient. All environmental retrofits come with inherent challenges: determining benchmarks and audits, working around the needs of building occupants, and ensuring positive results to name a few. When working on one of the world’s tallest buildings, these challenges are compounded. Therefore, the proven success of this retrofit is a testament to the incredible determination and attention to detail of the implementation team. 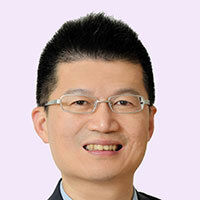 Joseph Chou, Chairman, Taipei Financial Center Corporation will describe the performance upgrade process as well as the results and benefits of the retrofit. Throughout history, it has been proven time and again that the simplest innovations can often offer the greatest and widest ranging impact. This is certainly the case of the Pin-Fuse Seismic System, which has the capability of significantly improving building performance under severe seismic conditions. Moreover, its benefit to resiliency has the potential to fundamentally transform how buildings respond to large seismic loads, resulting in structures that are far less likely to require considerable repairs. 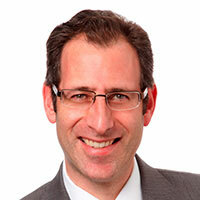 Mark Sarkisian, Partner of Structural Engineering, and Rupa Garai, Structural Engineering Associate, both of Skidmore, Owings & Merrill, will take the stage to describe their innovative structural technology in detail. 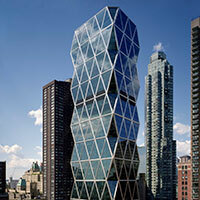 Sophisticated, distinctive, and transformative, Hearst Tower has profoundly impacted the skyscraper typology through its first decade of existence. 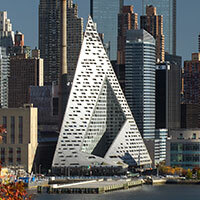 Rarely has a tower so successfully integrated heritage and tradition with contemporary, forward-thinking architecture. Its bold design and unmistakable appearance eclipses the original landmark structure by all measures and proudly challenges the constraints of heritage preservation, all while respecting the original, nearly 80-year-old vision for a tower to occupy the site. The distinctive diagrid system not only produces an arresting appearance, but also facilitates a wide variety of programming in a thoughtful interplay of style and practicality. 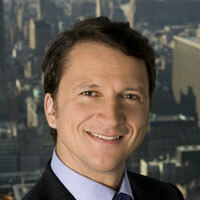 Louis Nowikas, Vice President, Hearst Corporation, will detail the impact that Hearst Tower has had through its first decade. By incorporating the social sustainability of a mid-rise structure with the efficiency and density of a high-rise, the distinctive massing and appearance of VIA 57 WEST draw a through-line between the often competing forces that dictate the eventual design of any tower. 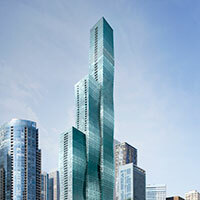 The result is a unique compromise that offers the best of both worlds and offers a new precedent for how the modeled performance of a tower can produce inventive contours on the skyline. 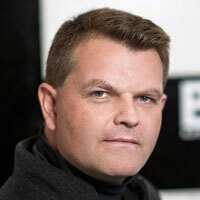 Alexander Durst, The Durst Organization and Kai-Uwe Bergmann, BIG will take the stage to analyze their development, describing its design process and its impact on Manhattan. 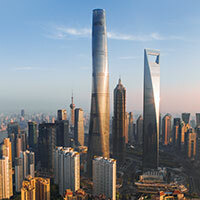 As the tallest building in China upon completion, Shanghai Tower has had an immediate and profound impact on the country’s perceptions of how a skyscraper can contribute to a city and a culture. Not only does it rise over Shanghai as a new symbol for its modern emergence on the global stage, but also points the way forward for technical innovation accomplished within the parameters of a Chinese cultural identity. Powerful in form yet delicate in appearance, Shanghai Tower would be a graceful addition to any skyline, but its function, identify, and symbolism are firmly rooted in the needs of its specific site. Jianping Gu, General Manager, Shanghai Tower C&D, and Grant Uhlir, Managing Director, Principal, Gensler, will provide details on the tower’s design and implementation. The White Walls is a unique addition to a city that has not yet embraced the high-rise condition. Its potential impact on such a location is softened through the careful consideration of the city, its climate, and the people it will accommodate. The tower blends indoor and outdoor spaces to a degree never before seen in a high-rise. 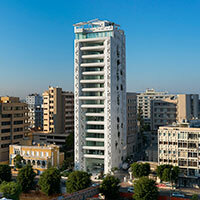 These unique conditions are perhaps only obtainable in the specific environment and context of Nicosia, yet their successful distillation into a highly livable structure suggest a blueprint for future high-rise development. 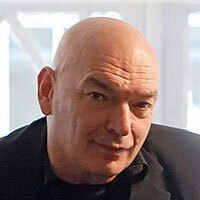 Dakis Joannou, Nice Day Developments, and Jean Nouvel, Architect, Ateliers Jean Nouvel, will discuss the novel forms utilized on The White Walls. 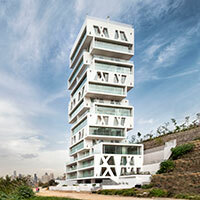 A new iconic structure for a growing Beirut suburban neighborhood, The Cube employs thoughtful engineering to maximize the spatial needs of its inhabitants. While the internal service core ensures flexibility in apartment design and gives primacy to living and relaxation spaces, the inclusion of wrap-around balconies enhances the overall apartment mix by facilitating non-repeating arrangements. Perhaps most deserving of recognition is the fact that all of this is accomplished on a complex site that must rectify the difficulties of a 20-meter incline, a seismically active area, and a dusty and dirty environment. 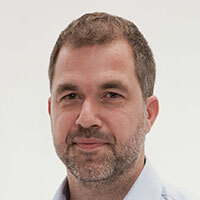 Patrick Meijers and Jeroen Schipper, Architect Partners, Orange Architects, will present on the unique challenges and successes of The Cube.